A power of attorney is a legal document that allows someone to make decisions for you. Or act on your behalf, if you’re no longer able to or if you no longer want to make your own decisions. This could just be a temporary situation. For example, if you’re in hospital and need help with everyday tasks such as paying bills. You may need to make longer-term plans if. For example, you have been diagnosed with dementia and you may lose the mental capacity to make your own decisions in the future. This covers decisions about your financial affairs and is valid while you have mental capacity. It is suitable if you need cover for a temporary period (hospital stay or holiday). Or if you find it hard to get out, or you want someone to act for you. An LPA covers decisions about your financial affairs, or your health and care. It comes into effect if you lose mental capacity, or if you no longer want to make decisions for yourself. You would set up an LPA if you want to make sure you’re covered in the future. EPAs were replaced by LPAs in October 2007. However, if you made and signed an EPA before 1 October 2007, it should still be valid. An EPA covers decisions about your property and financial affairs. It comes into effect if you lose mental capacity, or if you want someone to act on your behalf. 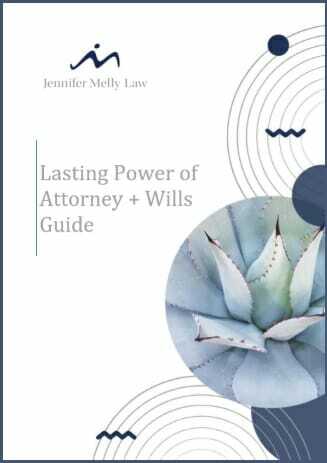 If you do not make a Lasting Power of Attorney for Health and Welfare or Property and Financial Affairs and you lose capacity to make decisions for yourself in the future (for example through dementia or an accident) then you would no longer be able to choose who you would like to make decisions for you. An application can be made by anyone who believes they should act for you to be appointed by the court to act for you as your “Deputy”. This means that the court would decide who is best placed to act for you and no one family member would have a right to act. This can in some cases cause disputes as to who should be appointed. In addition there would be costs for preparing the application to the court (even where there is no dispute about who should be appointed), annual accounts would need to be prepared and submitted to the court and an insurance bond put in place and renewed annually. Putting a Lasting Power of Attorney in place in advance can prevent disputes and can avoid the cost of court fees, application costs and ongoing supervision fees. Personal Welfare Deputy – A Personal Welfare Deputy is able to make decisions regarding a person’s treatment and care when they lack capacity to make their own decisions. Property and Affairs Deputy – The Deputy will deal with the person’s financial affairs. The responsibilities of the Deputy will be set out by the Court of Protection in an Order. The Deputy must always act in the person’s best interests and in line with the Mental Capacity Act 2005. To safeguard the person subject to a Deputyship Order from fraud the Deputy must keep a record of all spending and accounts and they must also keep a record of all decisions they have made as Deputy. These records must be submitted to the Court of Protection each year and will be reviewed. Anyone over the age of eighteen can apply to become a Deputy and the Deputy is often a family member of the person subject to the Deputyship Order. Before becoming a Deputy a mental capacity assessment will need to be carried out. If the person to whom the Deputyship application relates is found to have capacity, then the application will not continue. If the person does not have capacity then an application will be made to the Court of Protection. Here at Jennifer Melly Law we offer advice and guidance on how to apply for a Deputyship and we can deal with the whole process for you. It is not always appropriate for a family member to become Deputy and it can sometimes be beneficial to appoint a professional to act as Deputy. At Jennifer Melly Law we are able to act as professional Deputy if required. We understand that this is often a difficult time and if you require advice regarding the above or assistance in making an application to become a Deputy please do not hesitate to contact Jennifer Melly Law. Click the above image to download your complimentary guide. Planning your funeral in advance can be a good way of ensuring your wishes are carried out and takes the stress away from your loved ones when the time comes.